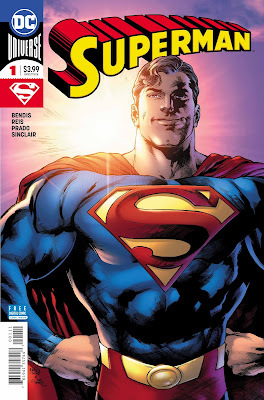 While we had The Man of Steel to see what Brian Michael Bendis had in store for our hero, it's this issue here that I think is the real sink or swim moment because the water wings are off and it's time to see if this series can stay afloat with this new writer. Okay, enough drowning analogies, let's jump into this issue and see what Superman does after his confrontation with Rogol Zaar. Let's check it out. For our first "real" foray into Bendis' Superman we see that he has a lot of clean up and reorganizing to do after the mess he made in The Man of Steel and with that we get some reiteration about how our hero feels about his family since they're gone for the foreseeable future and the new status quo of something personal to our hero. Personally, I'm not a fan and think that Xebel is going to get pissed off......... hey, that's not a spoiler! 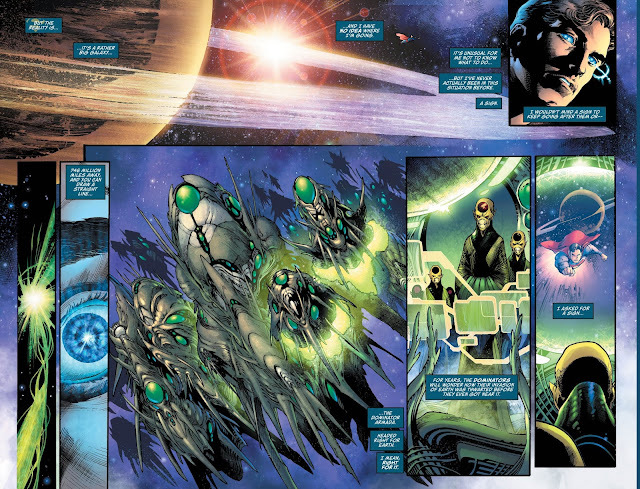 Really though, there isn't much to this first issue to get us going besides for me thinking that the horrors of Bendis writing for other characters in the Justice League may have been a little exaggerated because here he writes for a number of them and they don't come off horrible like we got in The Man of Steel so hopefully Bendis is on board now and knows what he needs to do to not make the characters we love sound like......... Well, I don't know what, just not our characters. All in all, I really enjoyed the art in this issue and while we do get a crazy cliffhanger that gets our story moving, this initial issue of Superman just didn't do much for me and came off pretty boring for everything that it had to deal with. 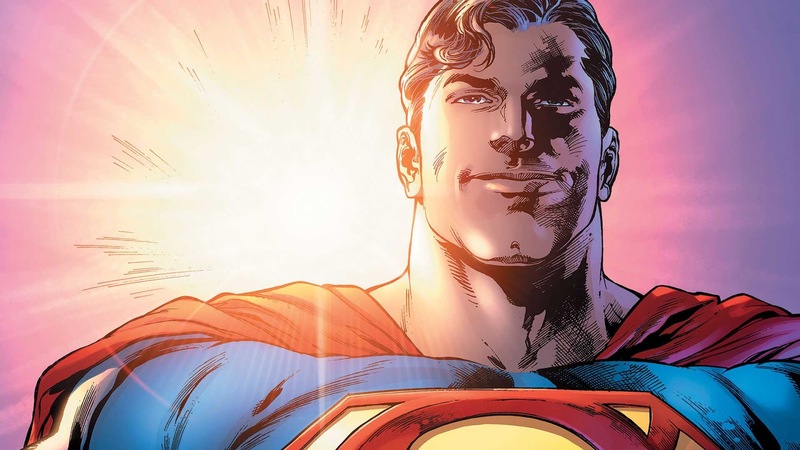 Hopefully, that doesn't continue as we go forward because I've grown quite fond of liking a Superman title and I would hate for that to change. 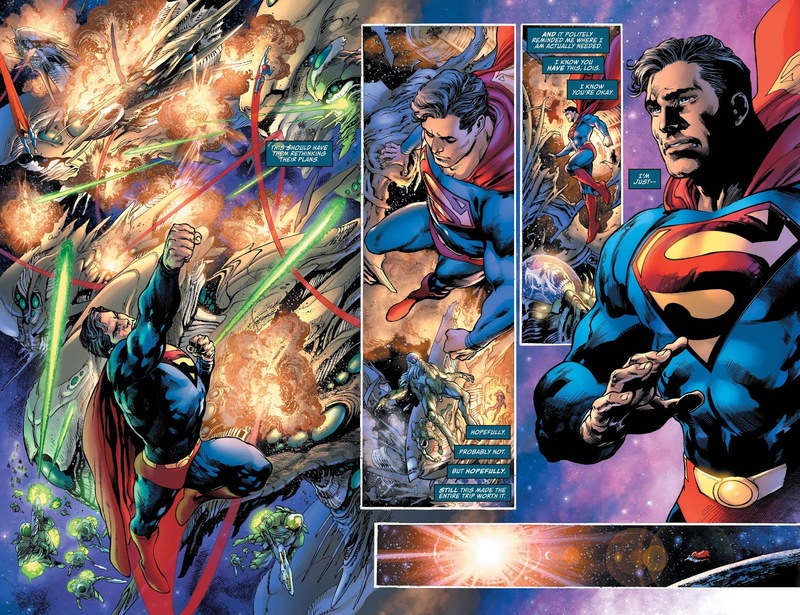 While I was hoping that this issue would grab me immediately and get me on the Bendis trolley, it instead kind of bored me as it reiterated things that I had just read from The Man of Steel and just didn't do much outside of that. The art in this issue is great and I'm intrigued with the cliffhanger, I just wish this issue was....... Well, a bit more. The Dominators are swatted like mosquitoes and Martian is out of character. Mostly because the fortress and Kandor are destroyed and Jon with Lois are following blindly Jor-El, who might as well work with the new enemy, it's ridiculous beyond belief. I think the new rival is called Gigolo dressed by Zara or something like that. Classic Bendis.